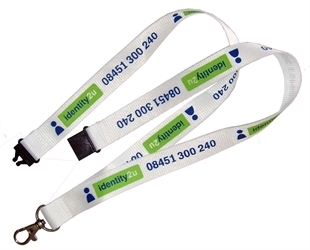 High quality printed 20mm wide and 900mm long lanyard. These lanyards are ideal for security, staff, schools, and promotional purposes. The 20mm wide design is a very popular size providing comfort and a great size for more complex organisation logos.